9 – You get to select your seat when you purchase your tickets. When you go in and purchase your tickets, you actually get to pick your seat at the time of purchase so that you have an assigned seat. This helps keep you from having to worry about not getting the area of the theater that you want, or worry that your party will be able to all find seats together. I love the assigned seat concept at many theaters, and especially for a dine-in theater. 8 – You can purchase your tickets online. Don’t like the lines or waiting to purchase tickets when you arrive? Well you don’t have to! You can also purchase tickets online for the Fork & Screen option. You also still select your seats at the time of purchase, so if you purchase early enough, you will likely have the first pick of all of the seats in the theater so that you can get your perfect spot. 7 – You can enjoy MacGuffins Bar while you wait. It is recommended that you show up at least a half hour before time. If you find yourself there earlier or waiting to be let into the theater, then you can have a drink and/or an appetizer from MacGuffins bar. This is a great way to relax before the show and get amped up for your experience. 6 – Your server may seat you. Once the theater is ready for you to enter, a server will sometimes walk you to your seats to seat you. 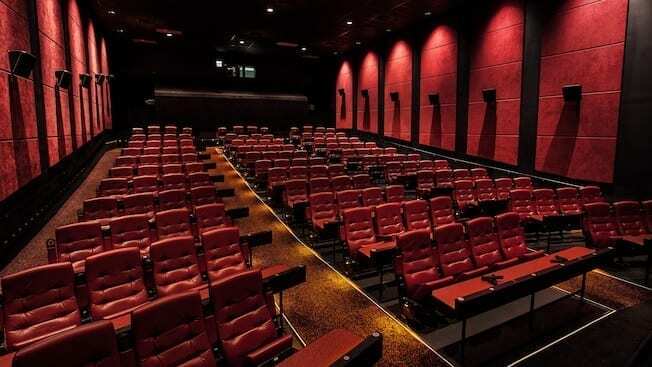 There are only about 150 seats in the entire theater, so it is a much more intimate experience, and you don’t have as many seats across a single row. 5 – The seats are very comfy and roomy! You may be thinking that it would be cramped and uncomfortable to try to eat a meal while you watch a movie, but these seats are actually very big and roomy. Not only that, you also have a table that runs in front of the entire row where your meal will be served. You have plenty of personal space and never feel like you are juggling food, beverages, etc. I am quite spoiled to having that table in front of me! 4 – It is a full dinner and drink menu. This isn’t just appetizers or a menu that only has a couple selections that include standard movie theater food. This is a real restaurant menu. You do have several appetizer selections. You also have a ton of entrée selections from salads, sandwiches, fish, steaks, pasta, pizzas, etc. There is a really wide selection of offerings. There are also a wide variety of desserts and drinks ranging from non-alcoholic to alcoholic beverages. It isn’t a crazy expensive restaurant, but it also isn’t a “cheap” restaurant either. I feel like it is in line with many of the other prices around Walt Disney World. 3 – Food and drinks aren’t included in your ticket price. 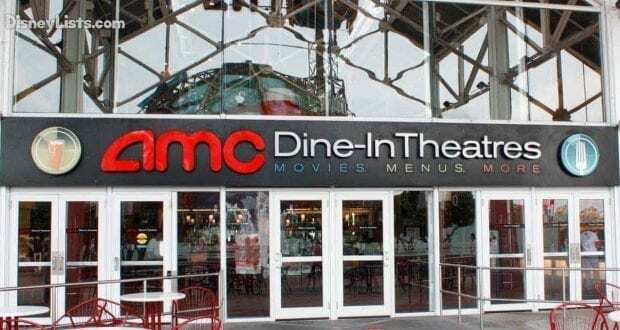 You will pay your admission to the movie, and then you will also pay for your meal and drinks depending on what you order. 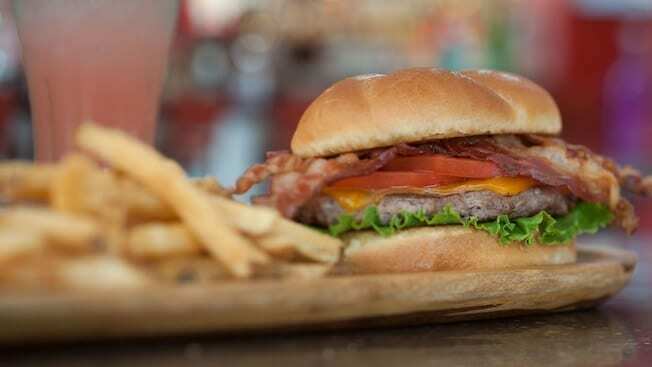 The prices will be listed on the menu, and then it is customary to include gratuity on your final bill to reward your server for their hard work providing service during the entire movie. Your final bill will be completely dependent on what you end up ordering. 2 – Ordering anything you wish is just a button away. You will have your own service button at your seat. When you are ready to order, or if you would like to order an additional beverage, dessert, etc. then you just press the service button. Your server will come and take your order and bring it to you when it is ready. You don’t ever have to leave your seat if you don’t want to, just like in any other restaurant. You get to focus on enjoying previews and then the movie! 1 – It is geared more toward adults and older kids. Children are definitely able to attend the experience, if they have adults with them, but the experience in general is more conducive for an adult outing or a date night. Younger children may have trouble focusing on the movie and not being disruptive, unless you go to one of the children’s movie showings. We haven’t taken our kiddos to it yet, since they are so young, but looking forward to trying it out with them in a few years!